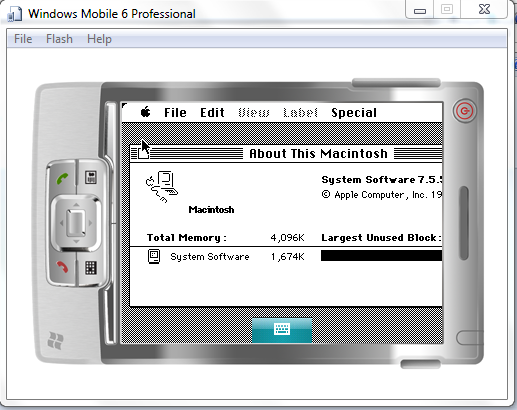 You can run miniVmac on your Windows Mobile device. With miniVmac, you can run up to System 7.5.5, which is available free of charge from Apple. 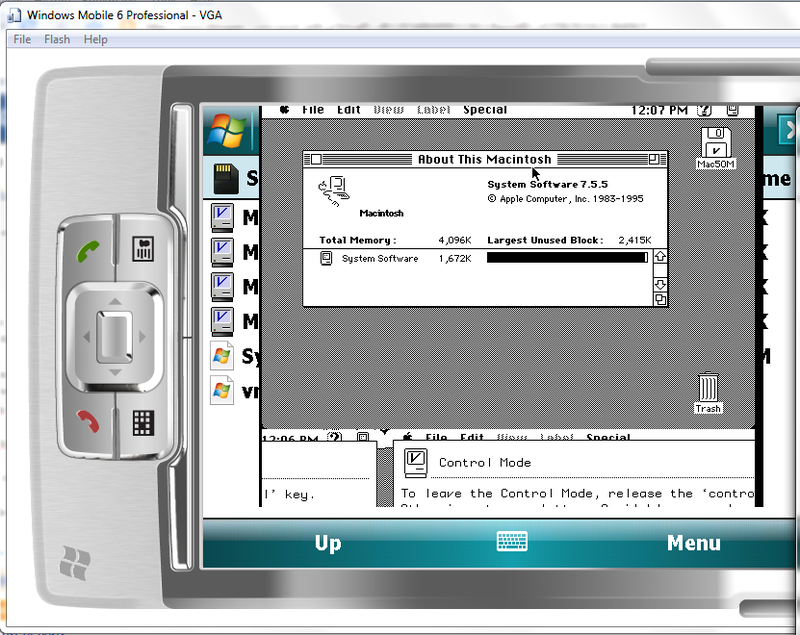 Download Mini vMac for Pocket PC from here. There are 2 versions, one is for VGA devices and one for QVGA devices. Place the vmac.rom in the same folder as the executable. The screen looks a bit messy on VGA devices but the emulated system seems to be working.